The New Year is upon us and it’s time for — what else? — a whole slew of New Year’s resolutions. Born in hope and the best of intentions, most of them, most of the time, become millstones around our necks, proof that we’re not very good at making life look the way we’d like. The incompletions of our lives, the dashed hopes, the ambitions that just writhe on the ground and chastise us—all these are revisited come New Year’s Eve, dusted off, and launched again into that orbit of discipline and efficiency that was always meant to mark our days. We can see it all now. Fitness? A marathon by March and a beach-fit body by June. Done. Better budgeting … even financial ease? Just waiting for this looming Better Day. A final goodbye to sugar and starch? Why, the quinoa from the future is already tasting good. That twice-started, thrice-lapsed meditation practice? The bliss is here already, as we contemplate our future contemplation. No doubt some people do make headway with their New Year’s resolutions, but many of us don’t — and many even swear off making them. But we go about things all wrong, says Tim Pychyl, a psychology prof at Carleton University who not only blogs on the subject for Psychology Today magazine, but whose book — Solving the Procrastination Puzzle — is a first-rate introduction to the subject. Pychyl defines procrastination as “a chronic gap between intention and action.” He goes further and says that, for the worst cases, there are “overtones of tragedy.” People who seldom achieve what they want to, lead unlived lives, a huge source of existential angst. People lose jobs or fail to get promoted. Economies lose billions of dollars in production. 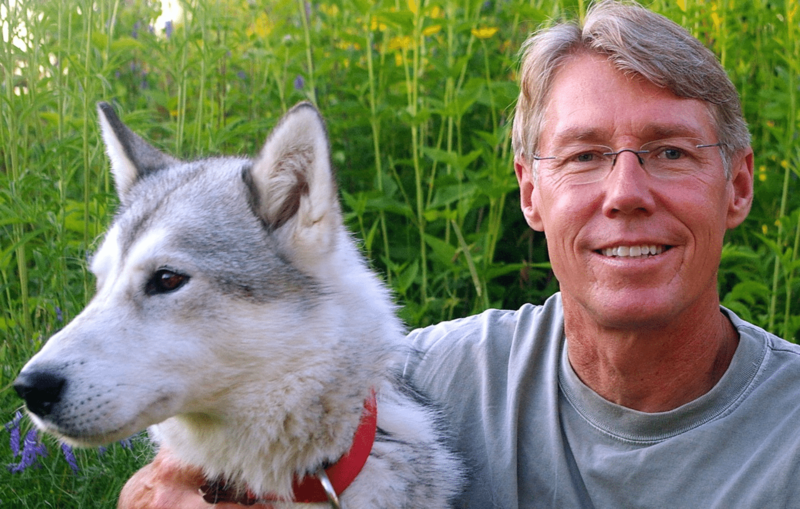 Professor Tim Pychyl, with canine friend Domi, says it is possible to conquer your procrastination. One strategy he suggests is making your plan as specific as possible. “You can’t be vague,” he explains. “Saying you’re going to exercise more may make you pleased with yourself, but it won’t get your body moving. You need a plan that tells you exactly what you’re going to do and when.” Photo by Beth Rohr. Sure, we mean to carry through on our New Year’s resolutions. That’s why we make them. But our New Year’s resolutions are often things we’ve meant to do for a long time, without succeeding. Why do some people have this yawning “gap between intention and action” while others don’t? There is no single explanation, Pychyl says. Perhaps the person is perfectionistic, afraid to produce something of less than stellar worth. Some people seem to be innately less conscientious. Some people simply have less capacity to maintain focus. For whatever reason, the procrastinator will run away from tasks that give them bad feelings. They may feel bored, angry, anxious, distracted—and deciding to put the task off repairs their unpleasant mood. But doing this too often creates its own problems. One’s self-esteem is damaged. One may put off a task so long that there’s just not enough time to do it well when one finally begins. Other people begin to consider the procrastinator unreliable—and the whole pattern gets more entrenched the longer it goes on. There’s a several-step solution that is both simple and dauntingly difficult. First, the procrastinator has to recognize she is running away from bad feelings when she puts off tasks. Second, and most crucially, she has to decide to stay put. If she runs away, she’s back in the procrastination cycle. Third, she must recognize that she doesn’t have to be constrained by bad emotions. Here, Pychyl brings up education writer Parker Palmer, who notes that even when we are facing a negative emotion such as fear, we can continue working from some other part of our “inner landscape.” We can have fear without being our fear. We can focus on other aspects of our inner landscapes — our ambition, perhaps, or our curiosity and desire to succeed. What we can’t do, if we wish to make change, is run away. We tell ourselves lies when we are considering putting some task off. “I will feel better about this tomorrow and do a better job,” we might say. Or: “If I begin closer to my deadline, the pressure I’ll be under will arouse me to better performance.” But such statements are almost always wrong and only show how much procrastination relies upon self-deception, Pychyl says. The all-important thing is simple: Get started. Take the first step. Launch the ship. “This is where the magic starts,” Pychyl says. “That’s the propitious moment, the instant when you move from inaction to action. There are ways to make taking that first step easier. First of all, don’t focus on projects as a whole. If you say, “My New Year’s resolution is to get into better aerobic condition,” that won’t carry you far. It’s expresses only what some researchers call an “anemic intention.” It has no power. Thinking about it makes you feel good, but produces no motivation. If your New Year’s resolutions included the decision to meditate regularly, you would need to get as specific as possible to bring it to fruition. You would need to decide that you would have your meditation mat out at 7 a.m., begin meditating at that time, and continue for perhaps 15 minutes. You would have to be clear that you were going to do this even if, on a given morning, you’d rather not. And over time, as the habit became more established, your resistance would decrease and keeping the resolution would become easier. Similarly, if you decided to write a book, you would have to resolve to be at your desk at a certain time each day, to open your computer or pick up your pen, and begin working. He sums up by repeating his “two mantras”: First, that we don’t need to be governed by the emotional aversion to doing a task. Second, that we need to just get started by focusing, not on an over-arching project, but on the required next specific action. “Finally, this is an existential challenge. Life is not a dress rehearsal. As people, we have only one non-renewable resource—time.